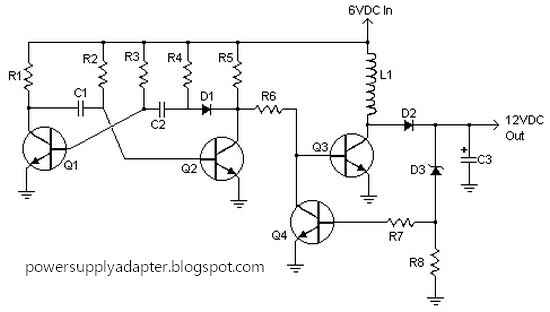 Here is the 6V to 12V DC voltage doubler circuit design, it also called DC voltage miltiplier or DC to DC converter. This dc voltage doubler circuit will need about 2A from the 6V input supply to produce the full 800mA at 12V for the power output. This circuit is very useful to generate higher voltage from a low power source, but this circuit will deliver low output current. So it should only be used for low current driven applications. Also, the output voltage may be unstable, so a voltage regulator (IC78XX) of proper rating can be used regulation and smooth output. But voltage regulator IC itself consume some current, and reduce the deliverable current. 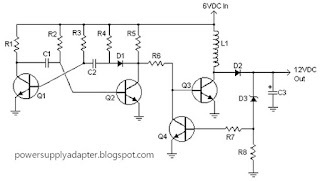 You are allowed use a larger value for capacitor C3 to provide better filtering.